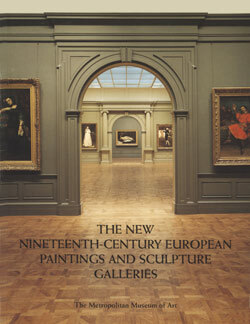 This publication was issued in connection with the opening in 1993 of the new Nineteenth-Century European Paintings and Sculpture Galleries. In 21 rooms, the collection includes "some of the best-loved moments in the history of art, from Romanticism to Barbizon and Impressionism to Post-Impressionism," writes Philippe de Montebello. Gary Tinterow is a curator at the Metropolitan Museum of Art, New York, specializing in nineteenth-century, modern and contemporary art.